A note on electric vehicles. There are at present severely restrictive laws in Australia re electric bicycles. These laws were made ten or more years ago to control the production and sale of electric bicycles. They are based on a Japanese / European model. Things have changed drastically since then – modern, hydraulic or mechanically disc-brake equipped bicycles can stop as well as cars from 60 kph and they now come with sophisticated suspension systems while still being very light. There are also trikes and quad bikes available now which are just as capable, and far more efficient, than any car or motor cycle. I have five electric vehicles at home – I modified existing bikes and a garden tractor. I often travel 100 of kms in summer on my trike, and have a max daily range of 200 km with a sunny road available. All for under $4000. 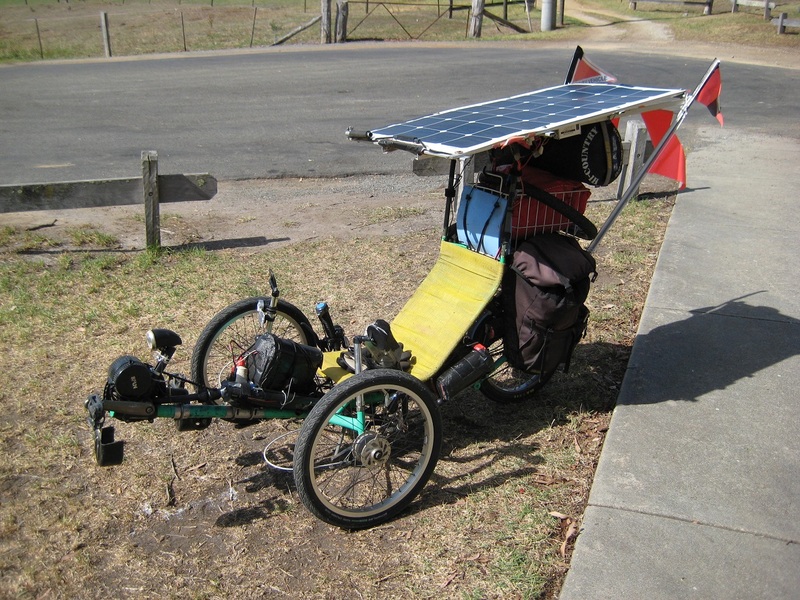 The current crop of electric cars are far too heavy and powerful to give decent range at low price, and thus to give wider acceptance – they cannot be charged quickly on a domestic power outlet – my bikes can be charged in my off grid situation straight off a solar array via $20 to $60 adjustable voltage boosters / regulators. There are also light electric cars available which cannot be easily imported or produced here because no categories exist for them in our Australian Design Rules for motor vehicles etc., and our policy makers, and the public are too focused on high-speed, poison-spewing internal combustion engine (ICE) powered vehicles, as a result of lobby groups and marketing having the upper hand in all spheres of Australian life via the marketing tube and the resulting general public’s fostered suicidal ignorance. Re hydrogen – I have made hydrogen from water by electrolysis. I have also been working on an attempt to duplicate via basic electronics the process of the first stage of photosynthesis, but have had to put this on hold because of day-to-day time and energy limitations. Even with electrolysis, by using solar power to produce hydrogen on site (coastal salt water regions are good), cooking gas and oxy-acetylene gas replacement can be produced and even be used to run ICE engines. We need to start thinking of these technologies at local levels. It doesn’t have to happen on a massive scale to be very efficient. Yet people always howl about safety – what safety is there in our current mass suicide pact of fossil fuel abuse? I build / manage all my own power and infrastructure requirements at 70 years of age, and am in great shape for all that – no bits missing yet. Just stay with it in the here and now. Not many people do that today, it’s too scary. The secure comfort zones seem to live in the past, if we start getting realistic about our prospects. *W Tree resident. More images on his facebook page here.